Utopian Fire are unique fire performers as we incorporate trained theatrical dance with our fire twirling to create the most spectacular Fire dancing show you will ever see. Welcome to Utopian Fire – a Fire Dancing Spectacular that is unique and amazing with its performers bringing you in-touch with the true spirit of sacred Fire Dancing. 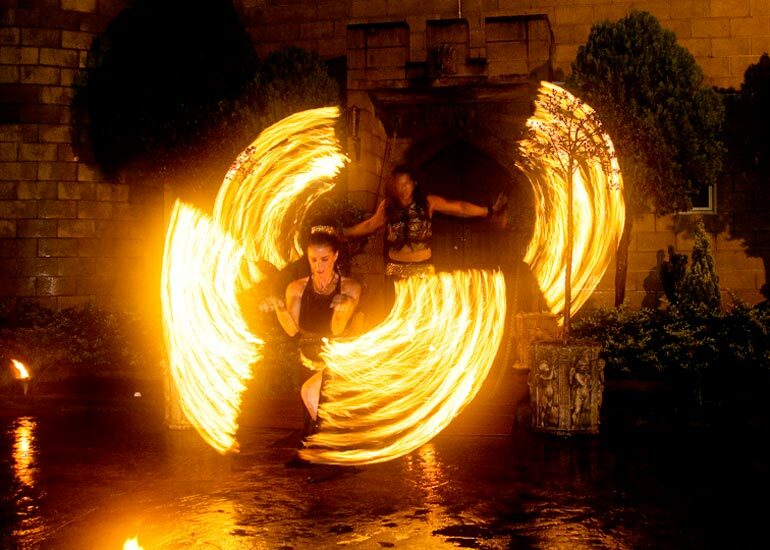 These mesmerizing shows combine choreographed dance, sensual fire dancing, dynamic fire twirling, fire eating and fire breathing. Utopian fire performances take you on a magical journey filled with fire, music and dance. Utopian Fire shows are perfect for weddings, corporate entertainment, or any form of celebration. Utopian Fire shows are guaranteed to raise the energy of any event no matter how large or small. It has taken many years of training, to present Fire Performance of the high quality and magic of the Utopian Fire Dancers. Utopian Fire Dancing inspires and amazes audiences of any age, gender or culture. Utopian Fire perform for weddings, corporate events, private functions, celebrations, festivals, any occasion indoors or outdoors. We are based in Gold Coast, Brisbane, Sydney and Byron Bay. We are happy to travel to any locations world wide. and fire dancing equipment available. Our fire twirling equipment is handmade with care using quality materials of the highest standard. Our equipment includes fire staff, fire poi and practice equipment. We can also make fire equipment to your specification at no extra cost.